Hello! Thanks for stopping by! I'm Bekah and I'm so thankful that you are here! Weddings are the best. So full of joy and excitement and amazing cake! But wedding planning and last minute changes can make it a really stressful day. The little details that pop up at the end can take away from the joyful moments you should be having with your family. But it doesn't have to be that way, and I promise you that your photographer plays a major role in how your wedding day plays out. Think about it. 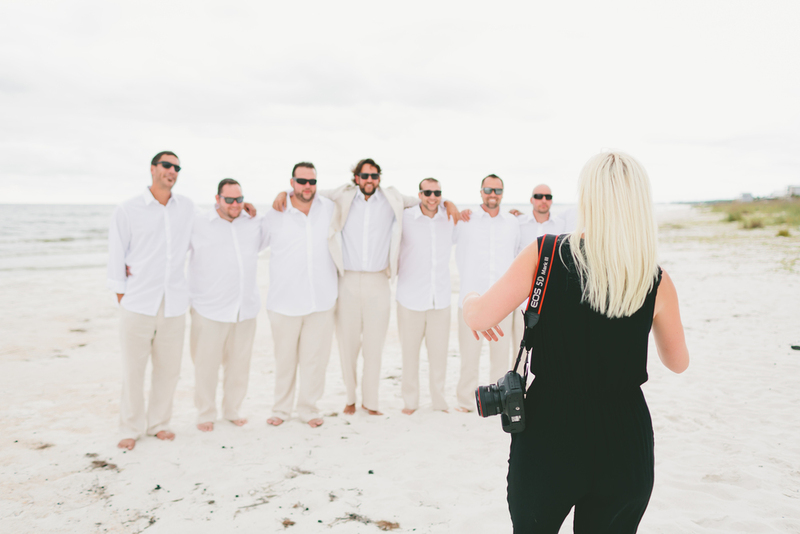 From the time your makeup is on, until the dances start, your photographer will be by your side. Your photographer needs to be much more than just creative. Your photographer needs to be someone that can manage groups of people, adapt to adjusting timelines, and keep you right on schedule. Your photographer should know how to pose you, how to work with changing light, and keep you having fun all day. And because of that, they need to be someone you want to spend your whole day with. Guess what?! I think it should be me! With over 5 years of shooting weddings I have a lot of experience with what a wedding day looks like, and I promise you that I can be that person that keep you having fun, relaxed, and on schedule. And a big part of that is because I take time to get to know YOU and what your needs are for your day before it even happens. I will walk you through timelines and family photo list so you don't have to think about anything other than having a blast with your friends. I come prepared with poses and locations, but am always ready to capture impromptu moments you would want. I'm excited to talk with you to make sure that my skills will be the best to capture the vision for your day. I'm Bekah! My husband Paul and I have been on tons of adventures together and always ready for the next one. A few years ago Yann lived with us while having life changing surgery through and organization called Ray of Hope Medical Missions. We took him back home to the Ivory Coast to be with his family in April 2016. He is still very much a part of our lives and you will see his beautiful face on my page and blog. Sage is our loyal pup who comes on all of our adventures with us. We are currently living in a Tiny House on Wheels in Portland, OR ! I'm currently learning the importance of vulnerability, and I pray that I'll never settle for less than what God had for me. I'm ready for risk, sacrificial love, and lots of questions along the way... Here goes my next adventure! I grew up traveling the world. (I'm the one with the crazy face. Not much has changed.) While some people resent all the moving around, it has been the greatest part of my childhood. It gave me a deep love for travel and adventure, and led me to fall in love with someone that has the same passion. It opened my eyes to how differently people live around the world, and gave me an appreciation for the life that I live. Having met so many people and seen so many things, I've been a part of a lot of stories that I want to remember. Photographs are my little snapshots to those moments that I was a part of along the way, and there isn't much that can replace it. Memories fade, no matter how hard we try to hold on. So being able to capture those precious moments for others something special. Something exciting. Something I love. I am so thankful that I am able to spend my days doing this!